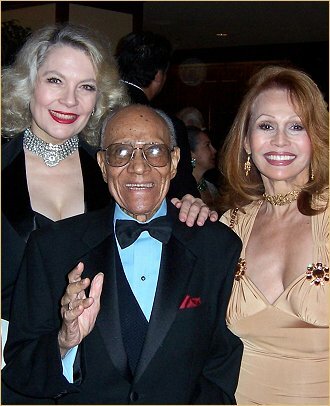 With Katherine and Fayard Nicholas. (1914-2006). Three years ago when I introduced Marlon to Fayard Nicholas at the Bamboo restaurant, it came as a surprise when Marlon stood by Fayard's table talking to him for ten minutes. 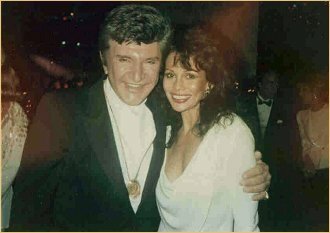 He rarely discussed show biz and certainly never table hopped! 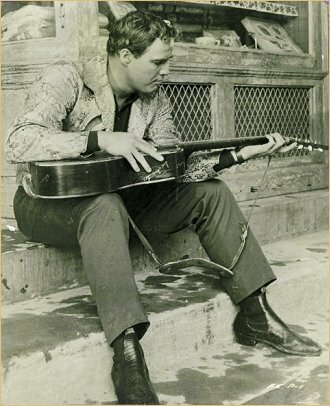 How sweet it was to watch him as he beamed and raved to Fayard about his tap dancing, something Marlon always wanted to do but couldn't. The Nicholas Brothers were his favorite. Mr. Hammerstein was my Oscar. 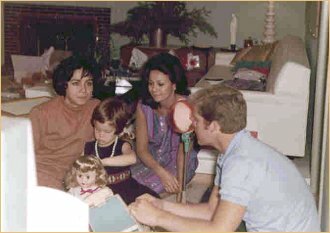 Me and Doug McClure hanging out with his first wife Faye and daughter Tané. 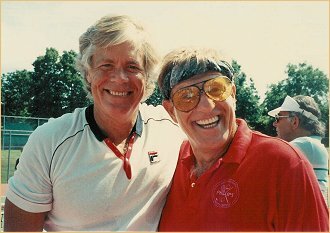 Doug McClure and Jerry Van Dyke. Jupiter, Florida. Celebrity Tennis Tournament. I will always love Dougie. 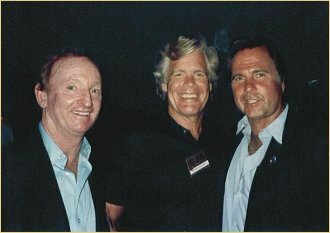 Rod Laver, Dougie and Gil Gerard. Anthony Newley and Mrs. Harold Robbins at a barbecue at New York City home of Dann Moss. In loving memory of Mikki Totten. 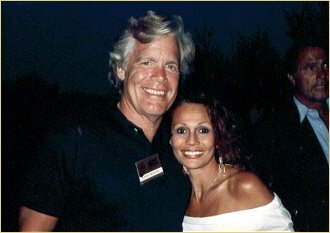 I met Mikki and her beloved Gale Kennedy when they invited me to her Western Con in Laughlin, Nevada. 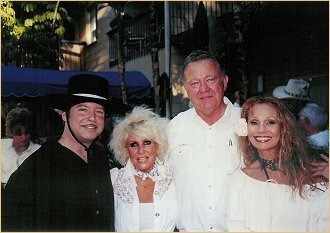 Guy Williams, Jr., Mikki, Gale and me. At the Beverly Garland Hotel. 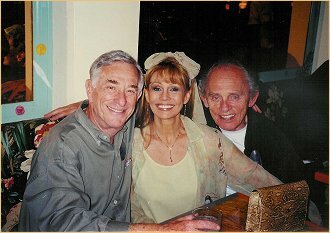 Shelly Berman, me and Frank Gorshin. Frank will be missed. 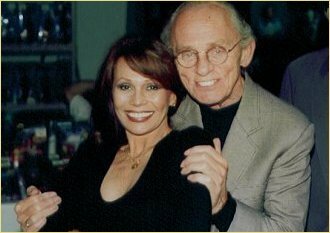 Frank Gorshin's Kirk Douglas impression was the best! 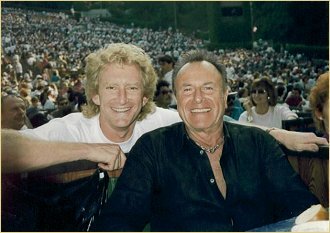 Speaking of Kirk Douglas, here is son Peter with icon Gene Shacove, friend and hairstylist to the stars. We all miss him. Donald O'Connor will always be unforgettable. 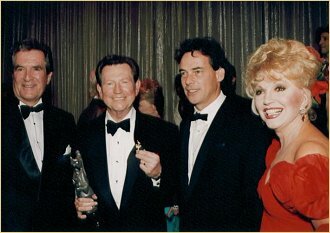 Here he is honored by Thalians Chairman of the Board Ruta Lee, Hugh O'Brien and jewelry designer Harvey Hauer. 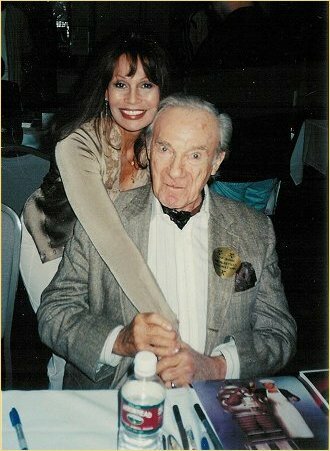 With Jonathan Harris. 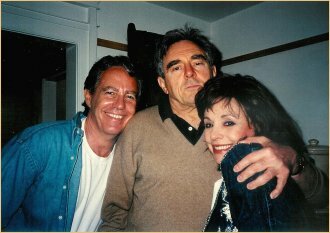 Jonathan and I worked together in "Teahouse of the August Moon" on Broadway. 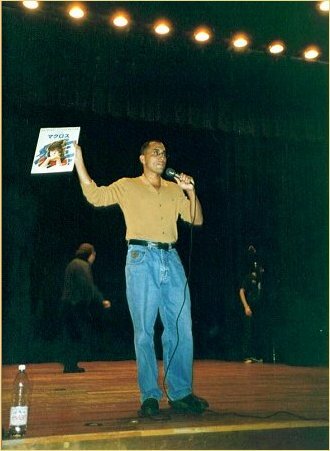 I'm so glad I got to know what a decent guy Richard Biggs was. 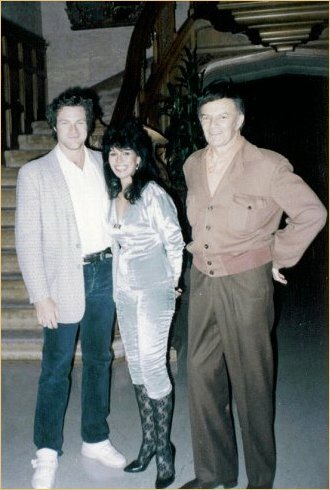 David Keith, me and Cornel Wilde at Hugh Hefner's. 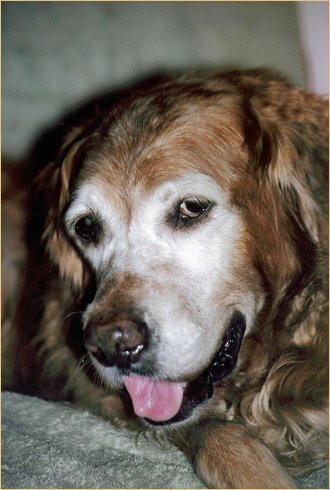 "Sophie" in NY (before doggie heaven).